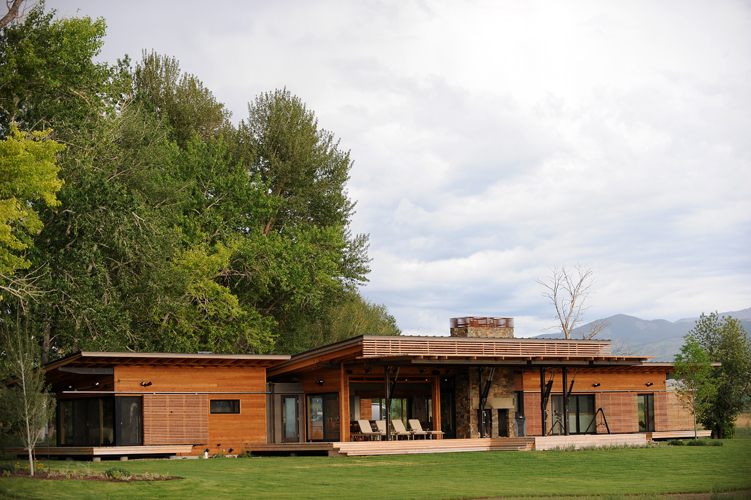 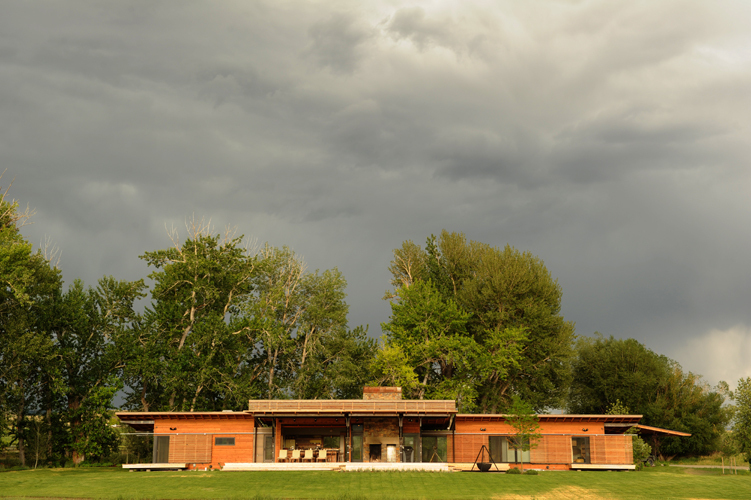 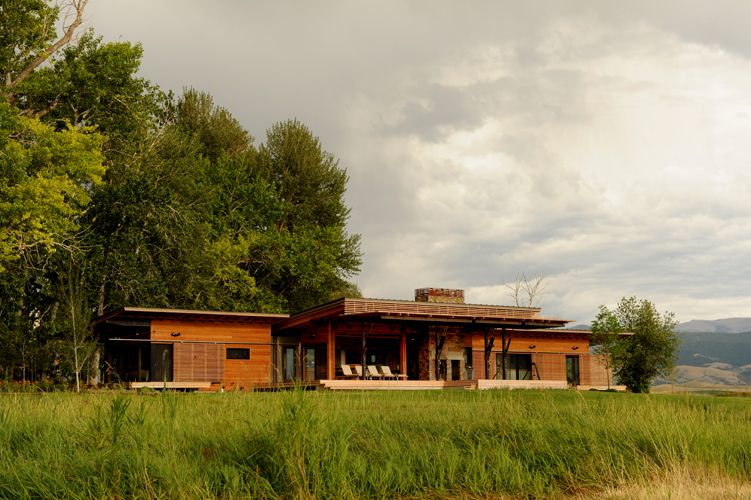 Set against trees and mountains of the Montana landscape this contemporary prefab home connects to its picturesque surroundings both with porosity and materiality. 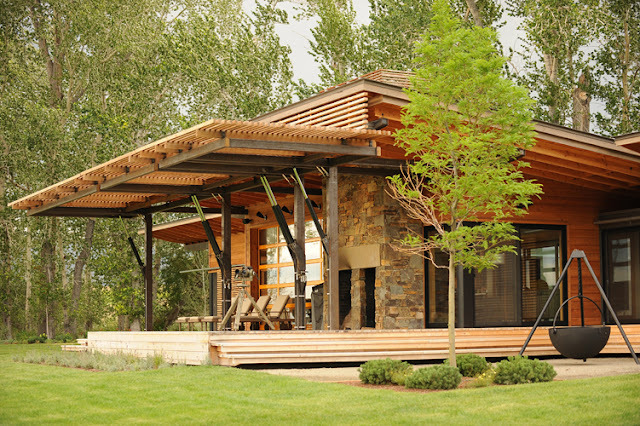 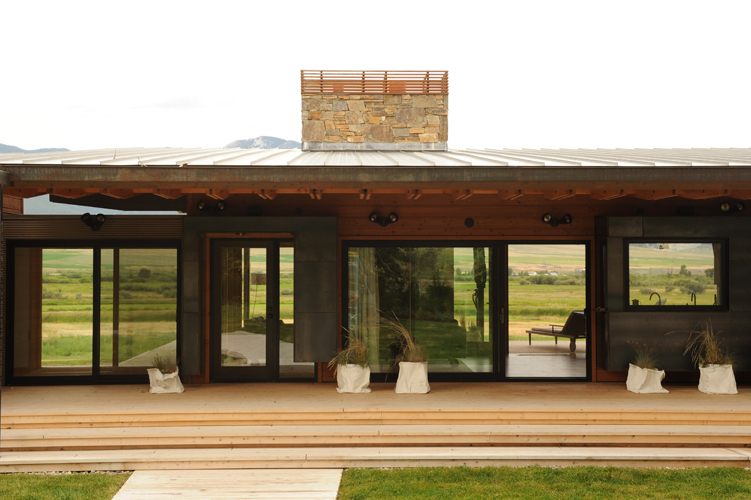 The prefabricated modular nature of the building has left its natural beauty and landscape untouched. 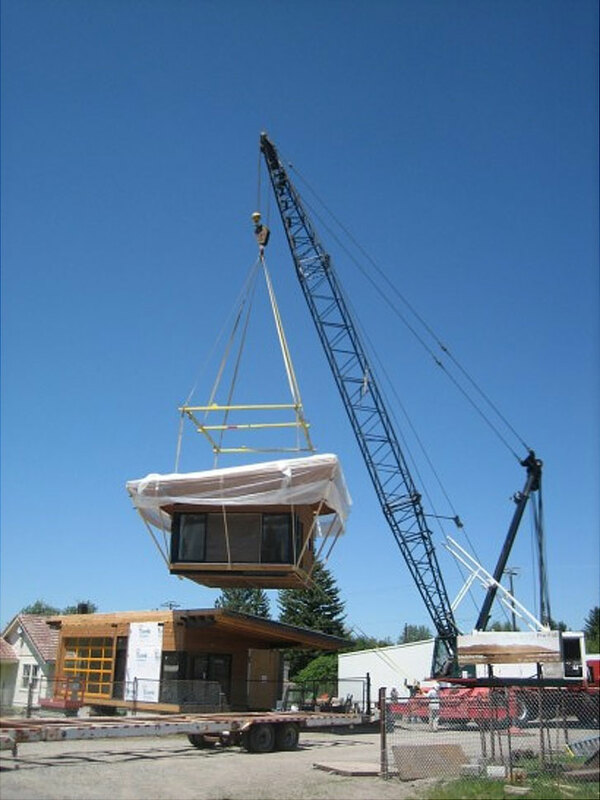 The humble structure is made up of 5 modular sections, then the modules were assembled and the new home established within the day. 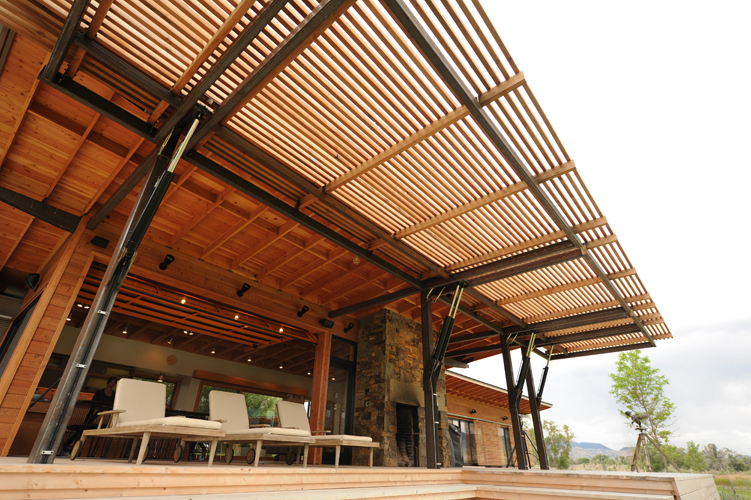 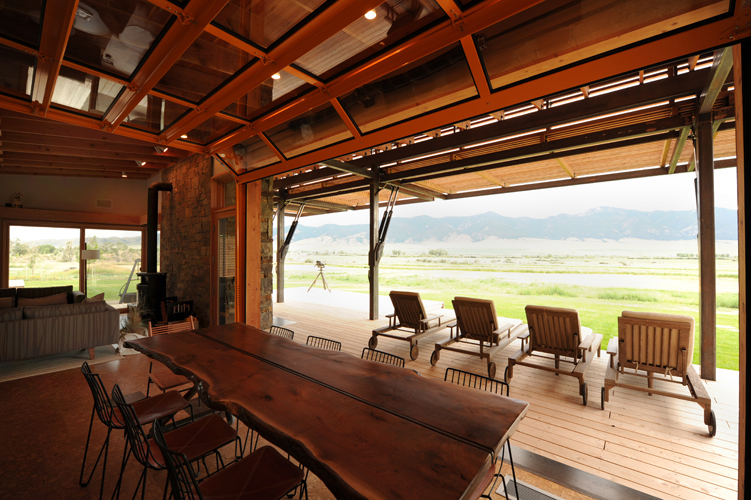 A system of hydraulic operable screens on the facade encloses porch spaces and outdoor patio. 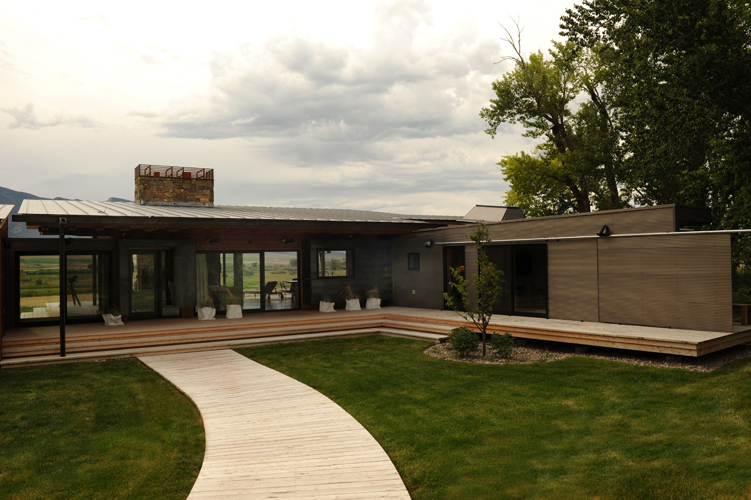 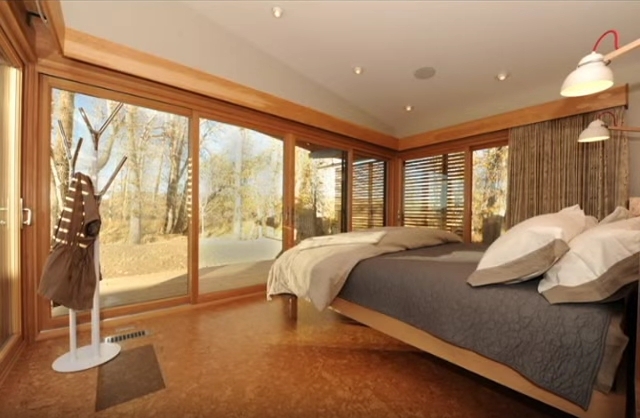 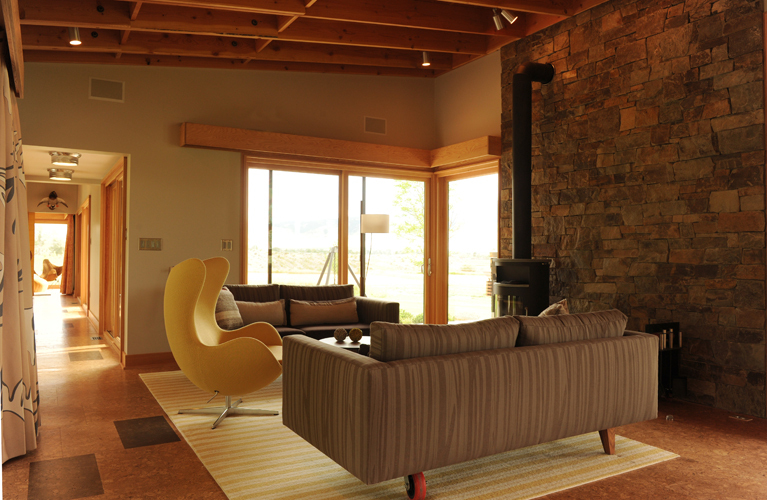 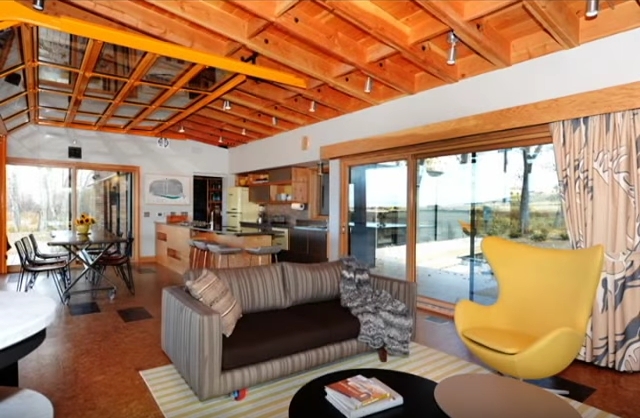 Design and construction: Medicine Hat Inc. 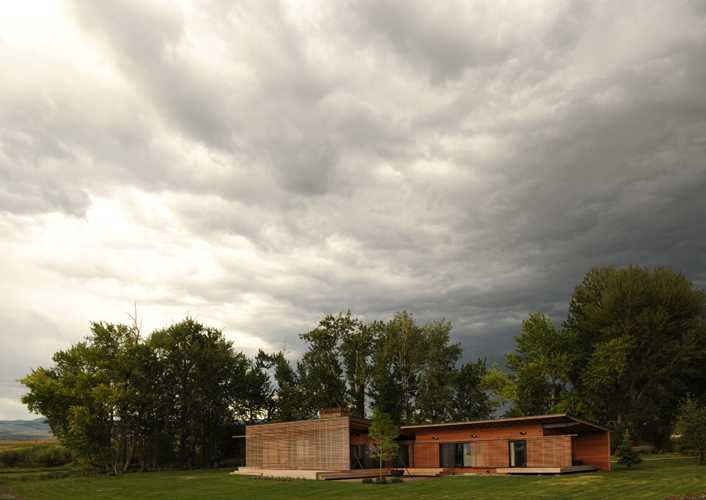 Photography: Will Brewster / Medicine Hat Inc.